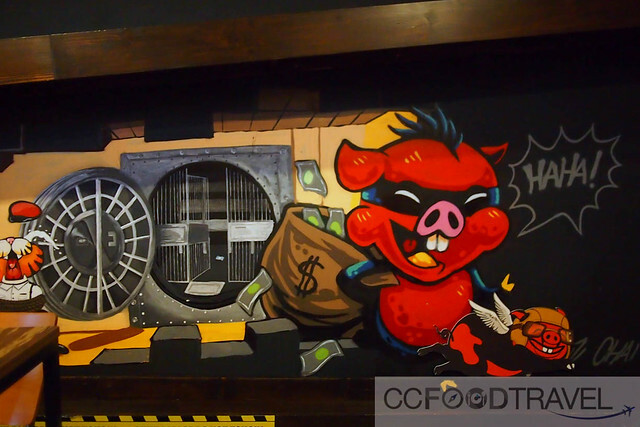 If you like pork, and all parts related to the pig, then you really should pay Ticklish Ribs a visit. Ah… pork. What an enigma. Eaten in reverence, reviled as unclean.. the stuff of myth and legends and of great breakfasts. 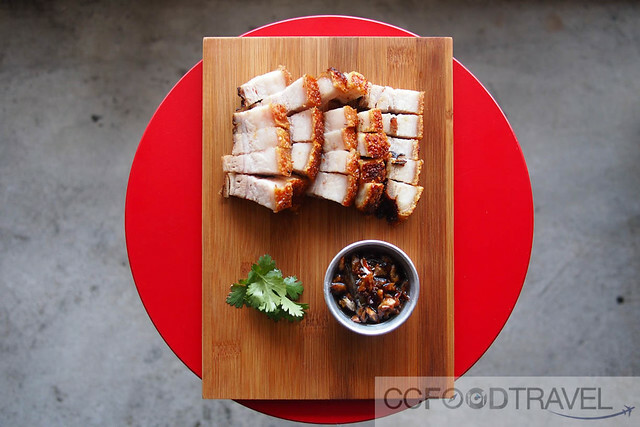 Siew Yoke itself, or roasted pork especially a great cut, carries a shimmer of crackling transgression with it that’s hard to resist. It’s the fragrance of that crisping crackling, and rendered fat beneath that sits on sweet succulent lean pork flesh that can turn vegetarians and Jews away from the path of the straight and narrow. Oh, for the love of pig.. quit porking about and eat. So at Ticklish Ribs, we feel like we’ve come home. 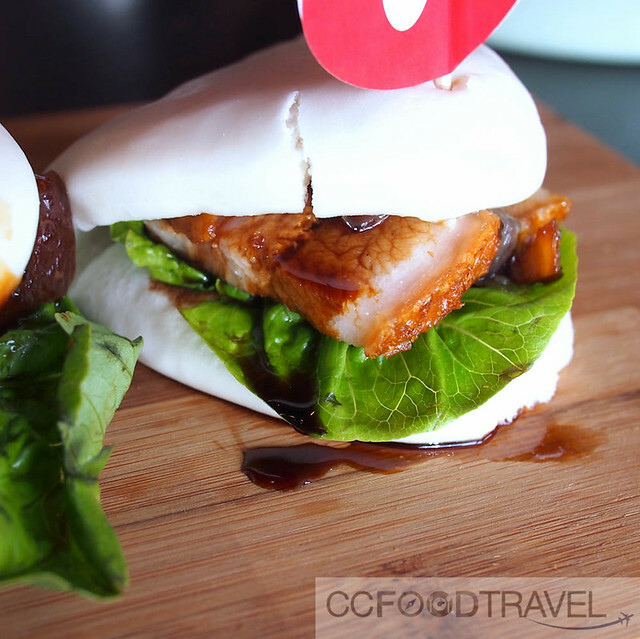 All manner of pork – served as is, or stuffed chock-a-block into sandwiches.. you name it, they serve it. 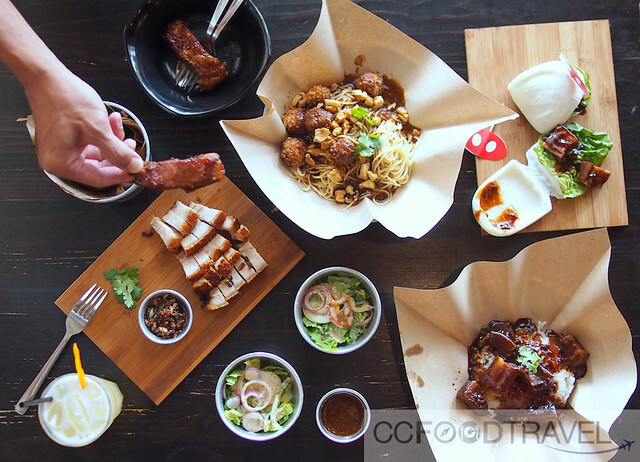 Choose from creative fillings like You Braise Me Up (pork belly), Chewbakkwa (chewy pork), Pull Your Leg (pulled pork), Hoilam Ting (Hainanese-inspired pork chop), Once You Go Black (black-sauce pork), Lazy Bones (pork rib meat ripped from the bones) & SSShock Sendiri (spicy-sweet-salty battered pork) in charcoal, white or wholemeal bread.. the skies the limit. 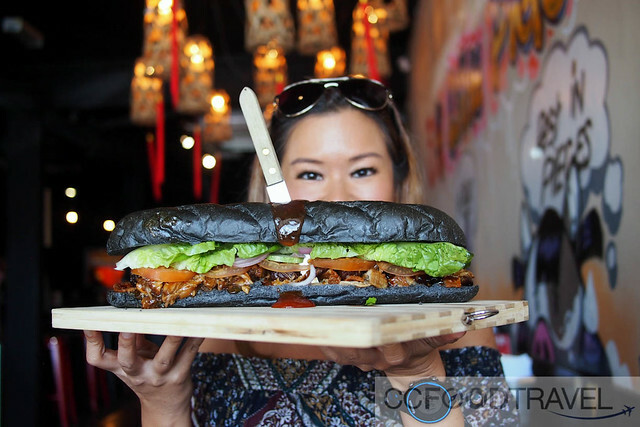 If you have the guts (and stomach for it) then take on the Psycho Sandwich (RM80 feeds 3 nicely), that has ALL the different fillings, in one huge mama. 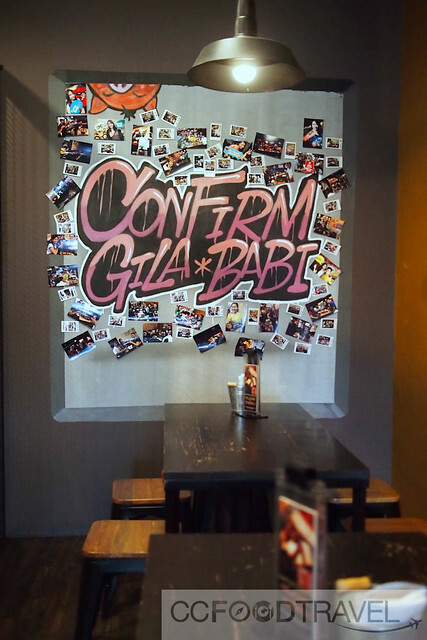 Generally the prices are reasonable, anywhere between RM15-RM16 bucks and there are also optional add-ons like cheese, fried eggs and caramelised onions. 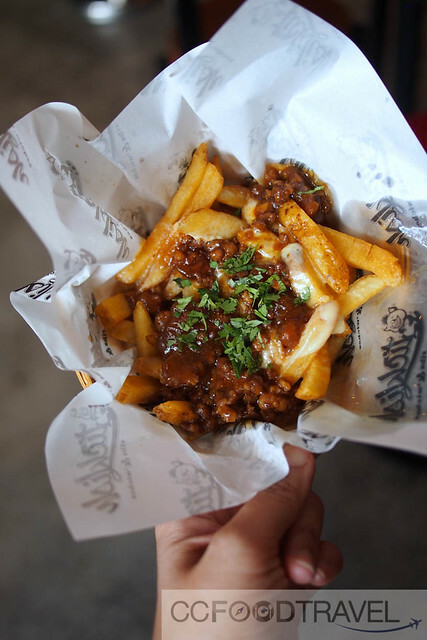 Side orders or what Ticklish refers to as ‘Koochi Koos’ .. the sinfully fatty Freaky Fries(RM5) loaded with pork & cheese… kinda reminded us of Canada’s infamous poutine. Soggy tasty goodness but a little too much fat in the meat topping for us. The restaurant serves interesting tipples like the Bandit Barbie, or if you want something alcoholic there are bottled beers or cider on offer. And oh, don’t forget the pork-laced ice-cream.. now I’ve really seen everything! 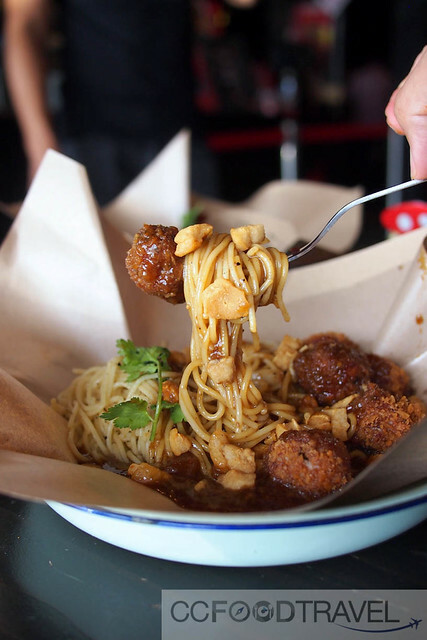 Pork ball spaghetti, with tons of Chee Yau Char (deep-fried pork lard), fried to a crisp – addictive stuff! 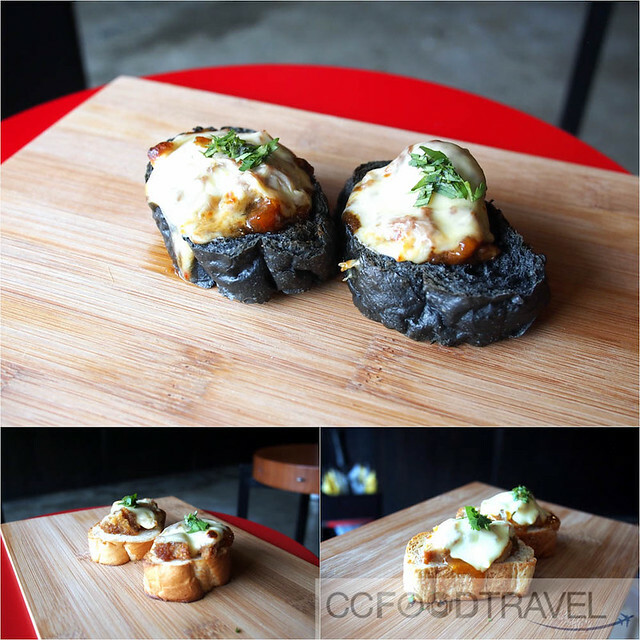 Babischetta, Siu Siu Ting, and Sikit SSShock – tasty finger food that goes well with.. um… beer? 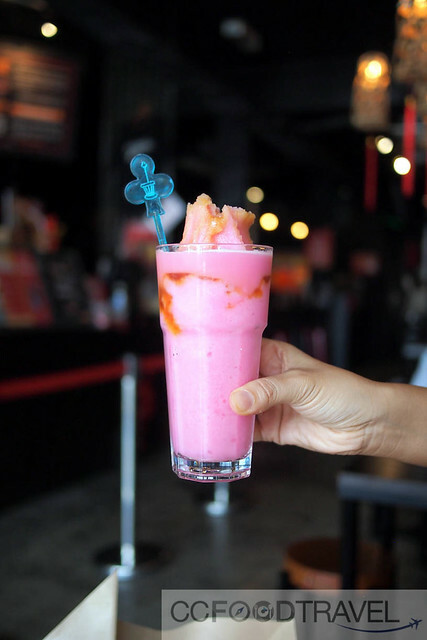 Finally no meal is complete without ice-cream.. but with a twist! On the left, Ticklish Twist (RM4) which is a vanilla ice cream doused in lard sauce! 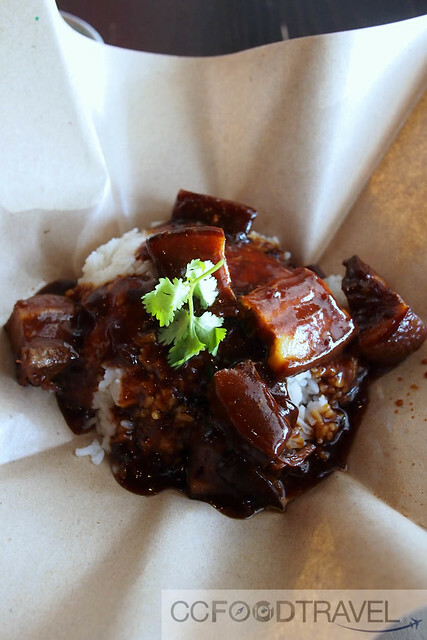 It sounds grim, but it worked.. think salty sweet caramel… like gula melaka with some salt. 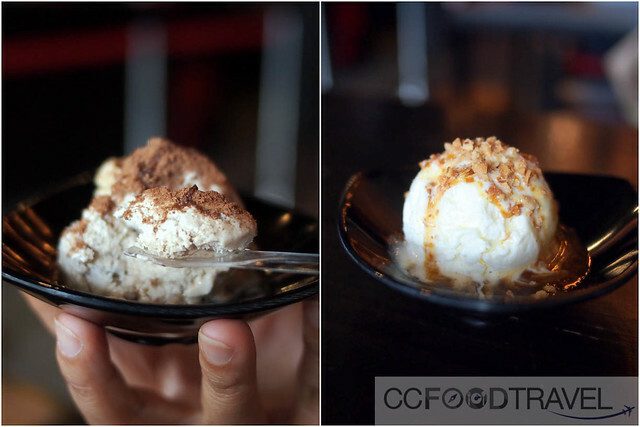 On the right, the Tiramisu – RM3.50 per scoop. Wah, all those special pork dishes, I want them all! Sure babe! Go check em out! 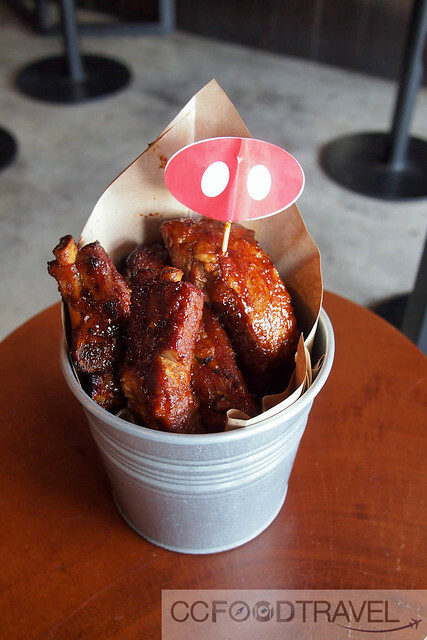 I don’t think I’m ticklish but I sure would love those ribs…and the roasted pork…and everything! Yum yummmmm!!!!! !